April's Little Family: Here's to Monday. 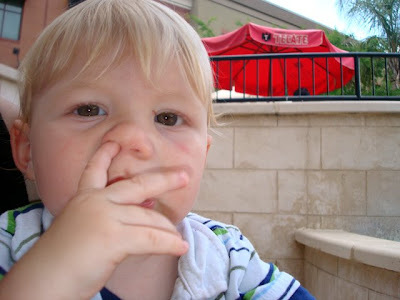 Oh how I miss the days when it was totally acceptable to get caught with a finger up the nose. Yes that picture my embarrass him in high school but what great blackmail it will be! Pick us a winner, big man.